Preschoolers love painting! Check out this unique waterfall painting project for kids. I’m not sure if is the sensory fun, the project they make themselves, or the fun of making a mess (a BIG miss)…… but preschoolers love to paint! I am always looking for creative twists to give our painting a unique spin. 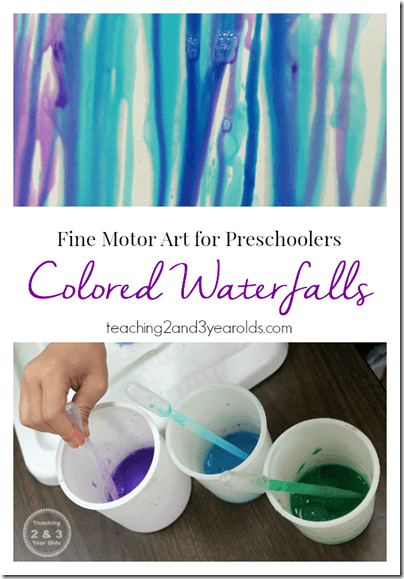 I love this Waterfall Painting project from Teaching 2 & 3 year olds! What do you think, would your toddler or preschooler love to paint like this?